Hello, lovelies~ Recently, I've been using lipstick more often than I used to. I guess summer is coming and I wanted a bright set of lips for my everyday makeup look. 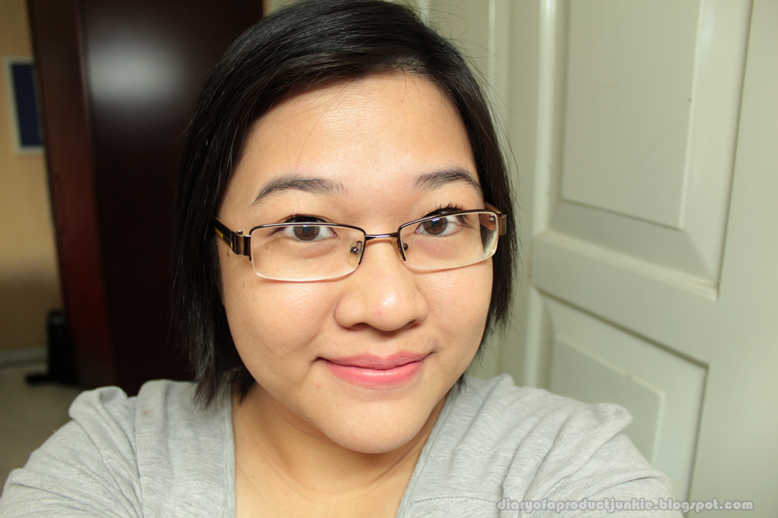 One that I used often lately is from Revlon shade 415 Pink In The Afternoon, which I got from the GUESS event last Saturday. The lipstick didn't have a separate box packaging, but it does have a plastic seal with the list of ingredients. 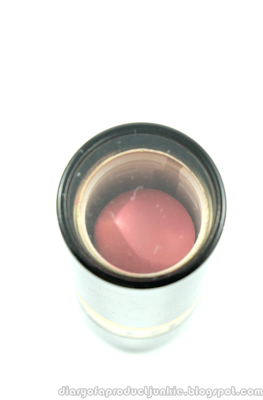 The top of the lipstick tube has a clear plastic, so I can see the color even when placed on my beauty rack. Very convenient. Pink In The Afternoon is in the pink family, but a soft, subtle color. It's almost like a cherry blossom pink, but slightly darker. I like how it evens out my lips and gives a brighter look to my face. The color itself is really sweet and cute on its own, don't you think? On my lips without eating, drinking, licking or biting my lips, it would last a good 4 hours. Otherwise, it would fade after a meal like most lipsticks. 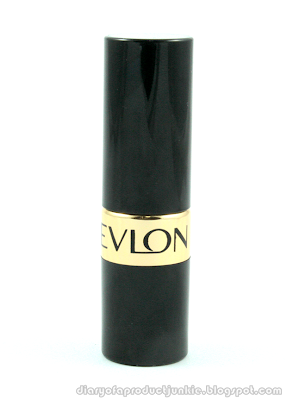 The formula of this lipstick is more of a matte finish, hence my lips would feel dry when I had this on. However, I usually apply a hint of gloss in the middle of my lips for a moisturized feeling a touch of shine. whee, it makes your lips look so much healthier and rosy! Ephong, he?? Shade yang lain ga kering toh? Aq biasanya pake gloss kalo berasa kering banget..
cici, warnanya cakep banget. tp seri yg ini kok ngeringin banget ya d aku. biasanya pake lipbalm apa ci?